Everyone wishes they had a little more clarity in their life. Should you quit the job you hate? Is this man the one you’re meant to marry? Sometimes it feels like you have to make these decisions blindly. However, some believe Numerology holds many of the answers to life’s questions. 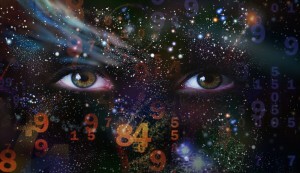 Numerology is the study of how numbers impact the course of life. It can help you gain insight into who you are and your destiny, among other things. What’s great about this particular art of divination is you can learn how to do it. There’s no need to be born with any special gifts! We’ll go over the Numerology basics so you can figure out your life path, psychic, and destiny numbers. Do you remember hearing about the philosopher Pythagoras back in geometry class? Many experts credit him as being the father of Numerology. That thought led people to believe that everything in the world has a numerical value. Yes, even you and your life! What’s more, all numbers have a specific meaning. How do you figure out those numbers? When it comes to the Numerology basics, you can find your life path, psychic, and destiny numbers. Once you know what your numbers are, you can find out how they apply to your future. The life path number explains your main purpose in life. To find this number, add up all the digits in your full birthdate. If you were born November 1st, 1988, your number would be 2. 1+1+1+1+9+8+8=29, then 2+9=11, then 1+1=2. For the Numerology basics, calculate your life path and destiny number. They work together to give you the clearest picture of your purpose. You compute your destiny number by using all the letters in your full birth name. It tells you what you’re meant to achieve in this life with your given name. It tells what your potential is and what opportunities are available to you. Your destiny number compliments to your life path number. It shows you how to accomplish your life path. To calculate your destiny number assign the correct number to each letter in your full name. If your name is Jan Lisa Doe, Jan equals 7 (1+1+5), Lisa equals 5 (3+9+1+1=14=1+4), and Doe equals 6 (4+6+5=15=1+5). Then add up all three numbers. 7+5+6=18, then 1+8=9. Your destiny number would be 9. The last piece of the Numerology basics is learning your psychic number. Your psychic number represents how you look at your own self. It helps you understand your basic traits and what you want to achieve. To find your psychic number, take the numbers of your birthday. If you were born on the 14th, you would add 1+4=5. If you were born on a single digit number, that would be your psychic number. Now that you have your numbers, what do they all mean? Each number has its own meaning. Learn the meanings of your life path, psychic, and destiny numbers. That will give you the fullest picture of who you are. The number 1 is assigned to those who are go-getters. You have an inner fire that pushes you towards your personal goals. You have confidence that many others don’t possess. This number belongs to someone who is peaceful and calm. The number 2 is all about duality. Think of yin and yang. You create balance and harmony for yourself and the people you meet. 3 represents what is both human and divine. These people are extremely creative. Their abilities almost seem God-like. 3’s are joyful and fun to be around. On the negative side, they can be vain and tend to complain a lot. This is the number of stability and self-control. People with this number have a spirit that’s unbreakable. The number 4 also represents the 4 elements: earth, wind, fire, and water. 4 corresponds with the heart chakra. The heart represents emotion and empathy towards others. The number 4 represents the elements. 5 corresponds with those 4 physical elements, plus one more: the spirit. Does this number appear in one of your Numerology readings? Then you have a deep understanding of the metaphysical. 6 is the number of the feminine spirit. You are a nurturer, a caretaker, sensitive, and understanding. While these are lovely qualities, you tend to put everyone’s needs above your own. The number 7 is analytical, intelligent, and a truth seeker. People with this life path number tend to be loners. Because of your high intelligence, many don’t understand or relate to you. 7 is another spiritual number, so you likely are very drawn to spiritual pursuits. You hate small talk and the superficial. 8 represents those who are driven and have an intense need to achieve success. You’re a natural born leader. This number also represents the idea of infinity. It’s the flow of giving and having it return back to you. You take the karmic lessons you learned in past lives and use them to find success in this one. 3×3=9, which means that 9 has triple the energy. You are kind and wise, but also seen by many as an authority figure. That makes sense because 9 corresponds to the Goddess energy. You have many different talents, but can get scattered trying to pursue them all. Want to Learn About Yourself and Your Future? Numerology can help you gain a better understanding of yourself and what you’re meant for in this life. But, there’s so much more to learn beyond the Numerology basics! Want a more in-depth picture of yourself and what the future holds for you? Then chat with a psychic now!